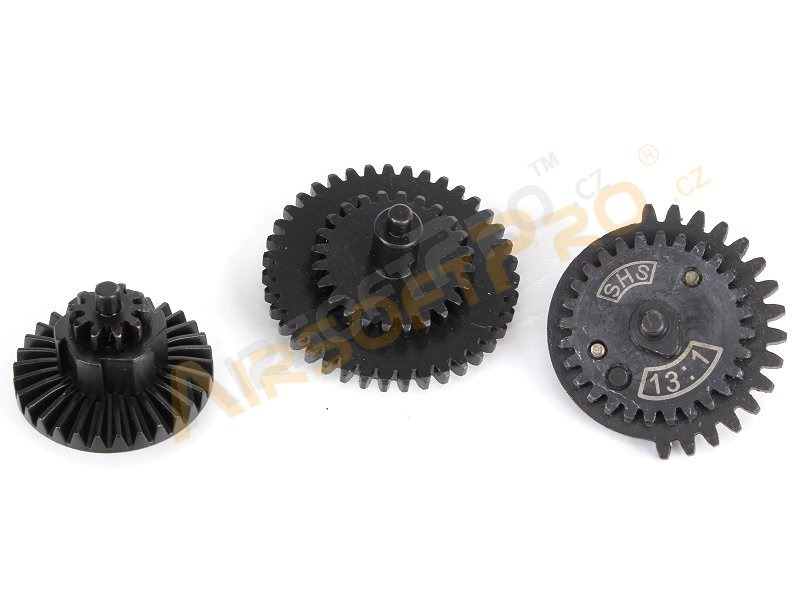 Description SHS speed up gear set. Drive Ratio: 13:1. Improove rate of fire up to 40%. Do not affect accuracy or range. 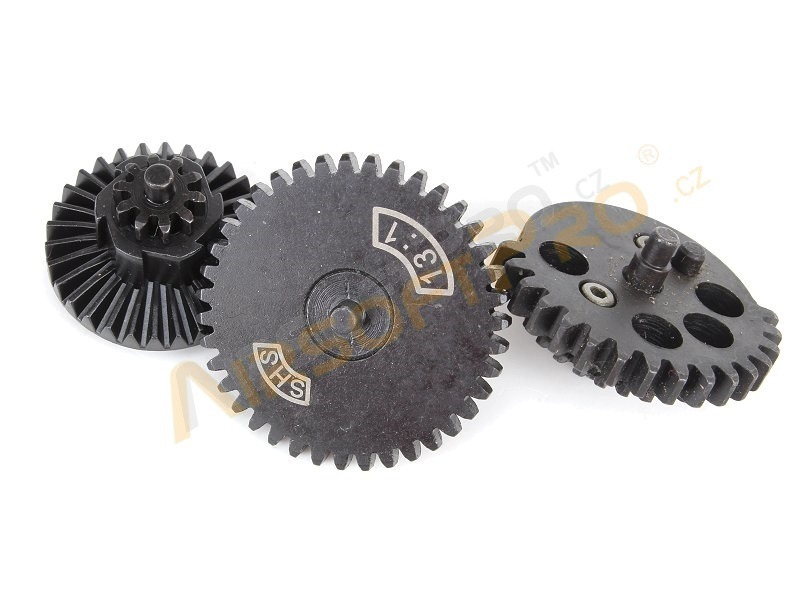 These gears are made of CNC machined steel. Suitable for the spring max M120-M130.